Generally, it is recommended that all outbound protocols should be restricted, allowing exceptions from specific hosts on a case-by-case basis. Web browsing should be conducted via dedicated web proxies only, with any attempted direct connections logged by the perimeter firewall and investigated as necessary. 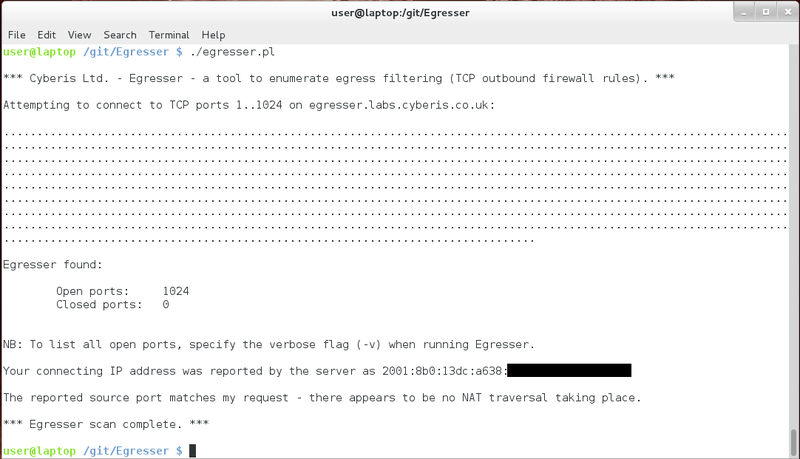 Egresser is a simple to use tool to allow a penetration tester to quickly enumerate allowed ports within a corporate environment.